Iceland Road Trip - The secret to an epic self-drive journey. If Iceland is the next country you wish to devour, then you must discover this surreal country with a Iceland road trip on it’s Iconic Ring Road. The places to visit in Iceland are not only mesmerizing but also full of sharp contrasts. It’s one of those rare locations on the planet where fire and ice co-exist. A country that’s so rich and vibrant in its culture that you would wish to capture it completely in your mind forever. Iceland offers a multitude of heavenly sights and tourist places to visit both in the summer and winter. While summer presents the midnight sun, winter too brings with it the unbelievable vision of northern lights in Iceland. 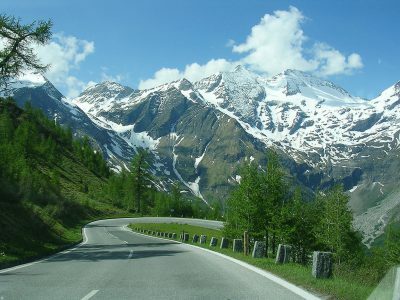 We would advise you to go during the summer months if you find it difficult to drive on snow and ice. There is no dearth of things to do during your Iceland road trip. Best time to go for an Iceland road trip: The daylight in Iceland varies over the years. You can select whichever month you wish to spend in Iceland depending on the number of hours of daylight during that month. To witness the Northern Lights in Iceland you need dark skies during the months of early-April until late-August. 90 km/hour on paved roads. Drivers and all passengers are required by law to wear seatbelts. 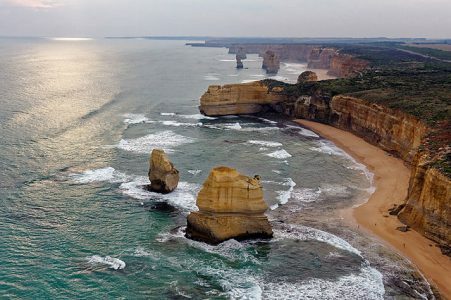 The tourist drivers always need to carry a valid license from their own country. Iceland Ring Road circles the whole country with a total distance of more than 800 miles on Route 1. The delightful roads take you past bubbling geothermal springs, gleaming rainbows, people-friendly horses, cascading waterfalls, majestic mountains and many other charming tourist places in Iceland every day of the trip. Though it is possible to cover the Iceland ring road route in 24 hours, the truth is that you will need to plan at least a week’s vacation to bask in the glory of Iceland’s natural treasures. 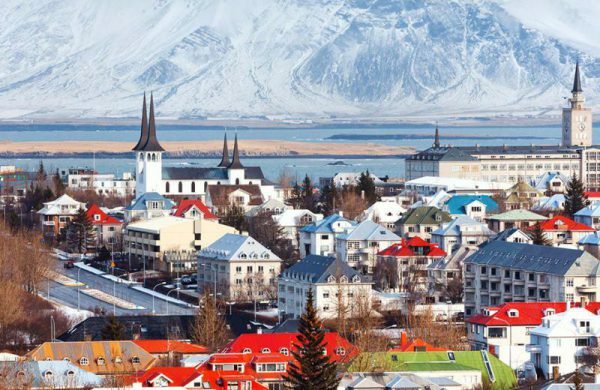 If you wish to savour every bit of this paradise, book your Avis self-drive rental car in Iceland to begin the tour of Iceland Ring Road from Reykjavik. 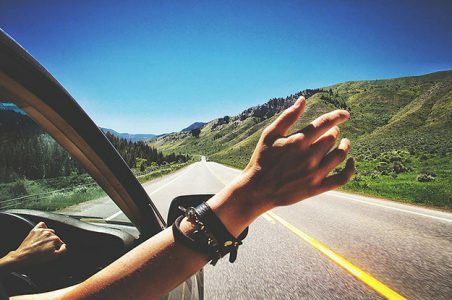 Hiring a car rental will allow you to take your own time to embrace the serene and pristine beauty of Iceland with freedom and flexibility. The more you’ll see, the more you’ll fall in love with this country. The first stop where you begin your road trip by hiring a car rental in Iceland on the Ring Road is Reykjavík. It promises entertainment for people of all age groups. Its natural landscapes are a perfect spot for outdoor activities. The museums in Iceland have turned into storytellers revealing 1000 years of History and Culture. This city’s people, its music and its nightlife are always buzzing with excitement. You can mingle with the local crowd and witness Iceland from their eyes. Reykjavik hotels are classy and full of all sorts of facilities that will make your stay comfortable. Another thrilling adventure in Reykjavik that is a must is observing live whales in the vast expanse of blue ocean. They are gigantic but gentle and always manage to steal people’s hearts with their magnificence. A landmark church known as Hallgrímskirkja is a popular tourist destination. Its distinct tower can be spotted from anywhere in the city of Reykjavík. One more interesting site is “Solfar” which is believed to be Iceland’s most famous piece of artwork. This Viking-ship-like majestic sculpture happens to be a favourite place to get clicked and definitely make your Iceland road trip memorable. Reykjavik Lights has been designed in a Scandinavian style concept of a hotel. Every room in this hotel is unique representing a special day as per the Icelandic calendar. The rooms are big and airy, with free-wifi, flat-screen TVs, and attractive views of the seasonal Northern Lights in Iceland. Put your feet on the accelerator of your Avis rental car in Iceland and dash towards Vík í Mýrdal, a seafront that lies in its southernmost part of the Iceland Ring Road. 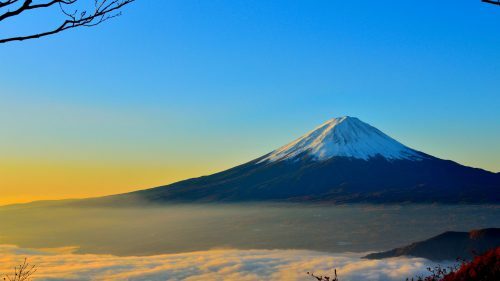 This land of Fire and Ice is so hypnotizing that people from all over the world visit it all year round to enjoy its natural crowning glory. Once your heart is fulfilled by the panoramic views of the village, you can visit the enchanting Reyniskirkja White Church standing royally on a hilltop. 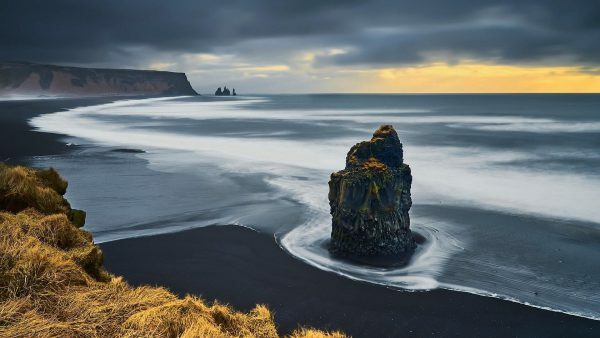 Iceland beaches are another mind-blowing seascapes because of their black volcanic ash along the coastlines. Amongst all the amazing Iceland beaches, Reynisfjara Black beach easily stands out as the coolest and most scenic in the country. You can access this beach via Vík í Mýrdal. A barefoot walk on this black sand Iceland beach will fill you with joy apart from tingling your feet. Together With, eccentric lava formations, imposing cliffs, basalt columns and caves the area is a paradise for nature lovers. This hotel’s biggest advantage is that it has 7 no-nonsense rooms that come with free wi-fi, flat-screen television, terrace along with family rooms and sofa beds. 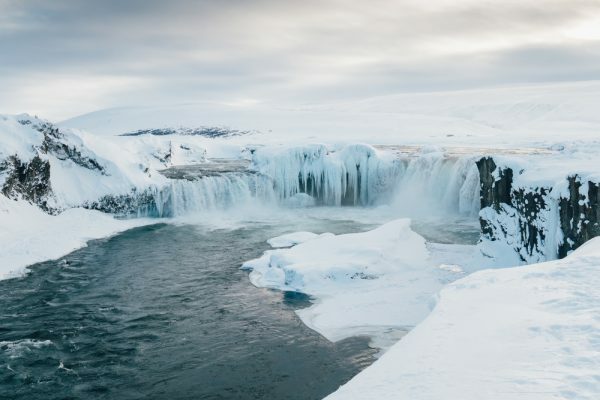 It has a prime location that allows you to chase any tourist spot in the south of Iceland, like Pingvellir national park, waterfalls and geothermal springs, easily in your rental car from Avis. Relatively a new town from history’s viewpoint, the next town on Iceland Road Trip, Hofn’s origin is hard to trace. It can be seen as a product of modern times. With the rapid development of tradepost, fishing and fish processing have become the main source of livelihood at Hofn in Iceland. You shall be treated with diverse services like camping sites, restaurants, hotels, marketplaces, swimming pools, golf courses, marked hiking trails and a variety of museums. Maritime museum, two national park visitor centres and the centre of the great writer Þórbergur Þórðarson are among the few places from the wonderful treasures Iceland has to offer. From the past few years, the town has championed lobster as a central part of its image, by holding a “lobster festival” every summer. If you’ve time on your hands while driving on the Iceland Ring Road, you can take a trip to the popular tourist spot called Jökulsár Lagoon. Being a business-class hotel, Hofn’s Hotel is popular amongst the tour groups, especially in summer. You’ll find agreeably renovated rooms with the trendiest of furnishings. Everyone at the hotel wants to have access to the views of glaciers. You can also enjoy a new and refreshing on-site restaurant. Relatively a new town from history’s viewpoint, the next town on Iceland Road Trip, Hofn’s origin is hard to trace. It can be seen as a product of modern times. With the rapid development of tradepost, fishing and fish processing have become the main source of livelihood at Hofn in Iceland. You shall be treated with diverse services like camping sites, restaurants, hotels, marketplaces, swimming pools, golf courses, marked hiking trails and a variety of museums. Maritime museum, two national park visitor centres and the centre of the great writer Þórbergur Þórðarson are among the few places from the wonderful treasures Iceland has to offer. From the past few years, the town has championed lobster as a central part of its image, by holding a “lobster festival” every summer. If you’ve time on your hands while driving along the Iceland Ring Road, you can take a trip to the popular tourist spot called Jökulsár Lagoon. Eyvindara has too much to offer. It comes with private and shared washrooms. Some rooms also get to have their own private terrace. Breakfast gets served every morning at the hotel buffet hall. Drinks are often enjoyed in the lobby. A major attraction here is a Geothermal pool just 1.7 miles away. Mývatn lake is a magnificent lake in northeast Iceland and is the next destination on the Iceland road trip after Egilsstaðir. It is Iceland’s fourth largest lake with around 50 skerries or islets. Myvatn’s weather is always pleasant, cool and refreshing. Although it’s a shallow lake, it is full of fishes along with interesting flora and birdlife. 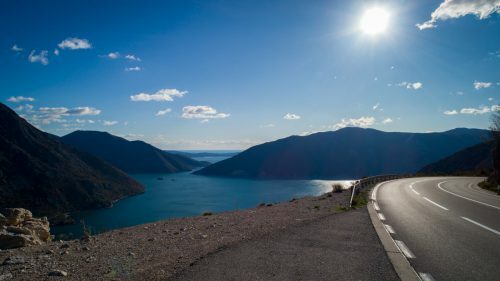 The region around the lake forms a natural reserve flocked both by locals and travellers from other countries. 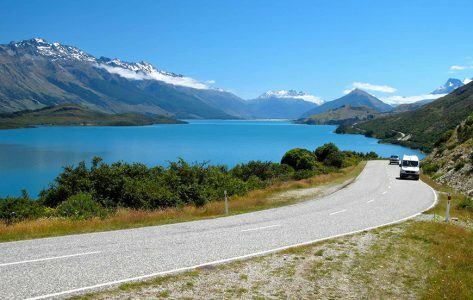 Being excessively diverse in its geography, it has sparkling waterfalls, wonderful views of the lake, rejuvenating hot springs, steaming geothermal spots, craters and caves. For accommodation around this area, there’s a small town on the eastern side of the Myvatn lake called Reykjahlíð. There are a number of cafes, restaurants, hotels, and guesthouses lined up in the town. It has basic amenities like bank, gas stations, a small supermarket, hotel, and healthcare centre. 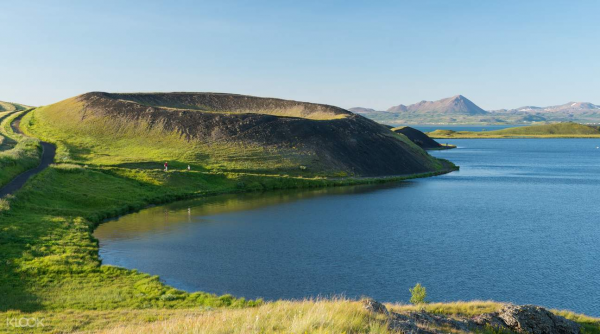 Camping and nature baths in Myvatn are also possible at the banks of the lake or by some interesting tourist attractions. 1.2 miles from Lake Mývatn, 30 minutes’ drive from the Godafoss Waterfall and Krafla Crater, this hotel happens to have a prime location. With free Wifi, modern furnishings in rooms, flat-screen TV, a seating area within rooms, free toiletries and hair dryers, tourists couldn’t have asked for more. You can enjoy the bar and restaurant at Laxá Hótel or admire the beautifully decorated garden and terrace. 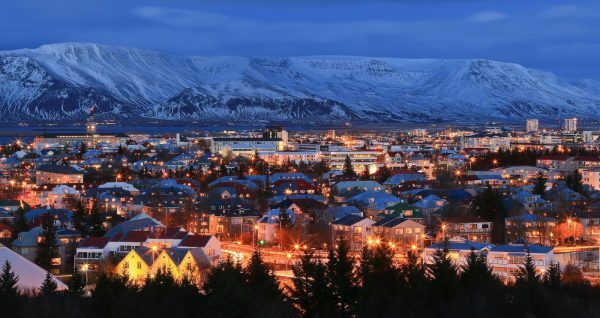 Akureyri is an energetic and lively town, and home to some 20.000 inhabitants. At Akureyri, you can expect trendy cafes, awesome restaurants, a couple of art galleries and some late-night entertainment. This town is particularly different from other rural towns that you will find during your Iceland road trip. Some of the best tourist spots here include The Akureyri Botanical Garden, the Art Museum called Listagil Art Centre, Húni II – a boat built from oak in 1963 and found at Torfunefsbryggja pier. Don’t forget to pay a visit to Laufás Turf Homes and Akureyri Church. Akureyri also forms a gateway to the mind-blowing beauty of the north, especially in the area surrounding Goðafoss waterfall, Dettifoss waterfall, and Ásbyrgi canyon. If you’re a fan of stunning and magical creatures called whales then Whale Watching in Akureyri while they are in their natural habitat is unmissable. Restaurants in AKUREYRI shall treat your taste buds with dishes using fresh and natural products from the countryside. 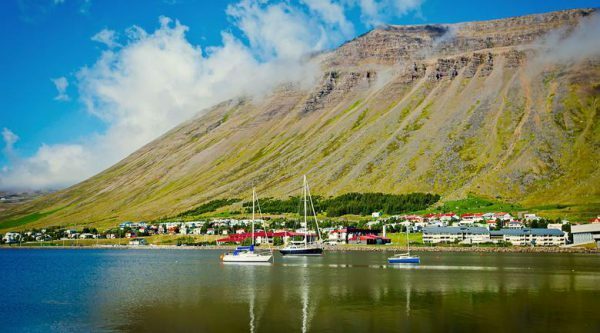 With so many tourist places to see and so many interesting things to do in Akureyri, you should at least spend a day to explore this town completely. Offering free WiFi, Hafdals Hotel is located in Akureyri. It is around 2.4 km from Pollurinn, and 3.1 km away from Hof – Cultural Center and Conference Hall. All the rooms in the hotel come with a terrace and a sea view. They have all the required facilities like a flat-screen TV, free Wi-Fi and are big comfortable and airy with a sitting area. Certain rooms at Hafdals Hotel have a mountain view. Moreover, a buffet breakfast is served here for free each morning. With an intimidating fall of 60 meters, Skógafoss is one of Iceland’s biggest waterfalls. It is a crater rising approximately 170 meters above the ground. Though quite steep, it is easily accessible via a footpath. Strangely surreal this out-of-the-world site on the Iceland Ring Road trip lies at the foot of Namafjall volcanic mountain. Being a geothermal area it has large mud pools, steam vents and bare saffron landscapes. It is a waterfall that lies at the southern coast, it is framed by melting water from a well-known glacier- Eyjafjallajokull volcano. And this waterfall cascades into a pretty meadow. It can be found next to the popular Jokulsarlon glacier lagoon where you shall find a black volcanic sand beach. 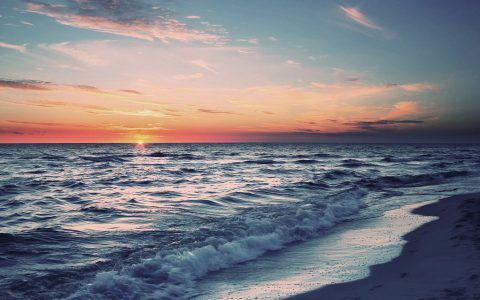 As the icebergs begin drifting from the lagoon ashore, it produces the most magical setting. Akureyri is the last stop in your Iceland road trip. You can drive back in your Avis rental car from Akureyri to Reykjavik in approximately 5 hours where you can hand over the car. Now that you know about the mystical and magical country called Iceland, stop being a couch potato and admiring this country on television. 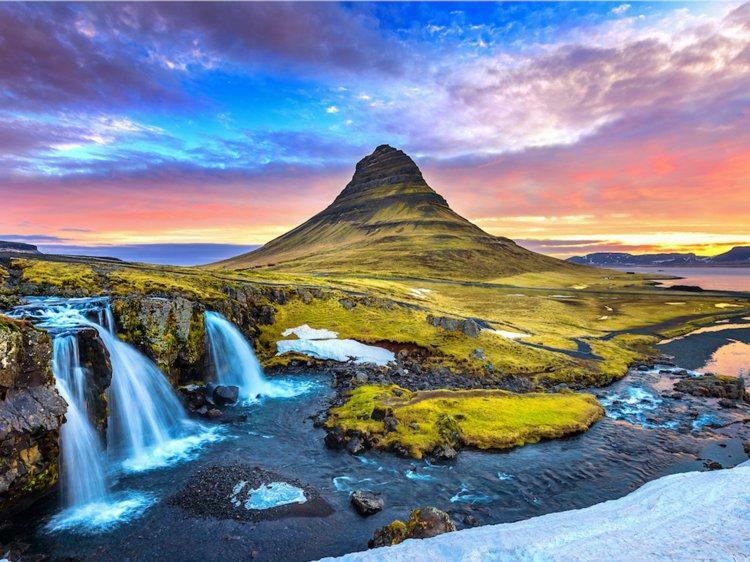 Get your luggage ready for a soul-enriching road trip on Iceland Ring Road with a car hire from Avis.